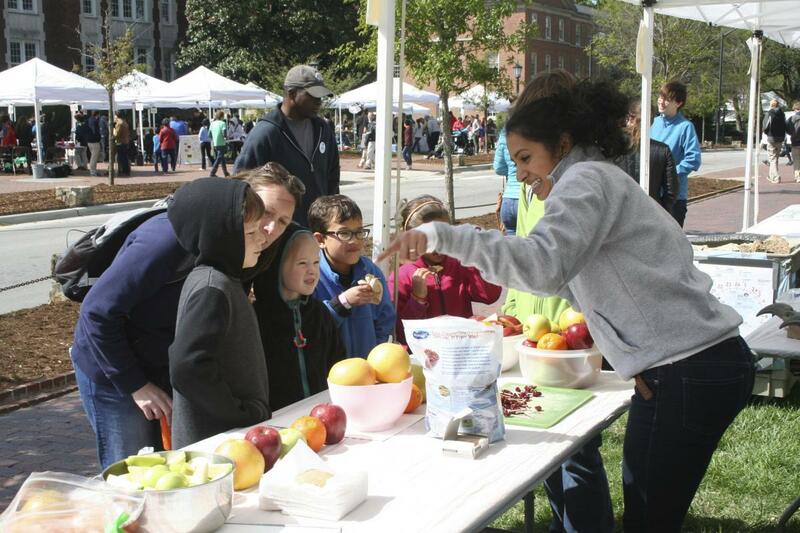 Find NC Science Festival Events near you! Hundreds of fun science events are happening in April all over NC! North Carolina's biggest celebration of science is back for its ninth year! Join us for an exciting adventure exploring science, technology, engineering, mathematics and more. With hundreds of events throughout the State, find one in your backyard. Check out the Kelvin Fan Club! Each year we are proud to have a group of signature events that show off the importance of the Science Festival. This year's events feature pirates, races, robots, and of course, scientists! Generous sponsors make the North Carolina Science Festival possible. Join a growing list of the state's leading corporations and foundations that recognize the importance of science and its impact on our state. There is more than one way to help spread science education with the North Carolina Science Festival. Find out how you can be a part of the festivities. Each year, we seek proposals from organizations interested in hosting an event. Become part of the fun. Without scientists, there would be no Science Festival. Find out how you can make a difference and showcase your science during the Festival. Educators are vital to the NC Science Festival’s mission — they prepare future scientists! Join us and participate in the Festival with your students. A festival is a period of celebration, for us that means a month long celebration of science in North Carolina. With so much to cover we need an entire month to do our state science celebration justice. Our goal is to help spread science education through exciting, educational and fun, hands-on science events. The educational, cultural and financial impact of science effects all North Carolinians and we want to make sure that continues through our future generations.